Antiques series. 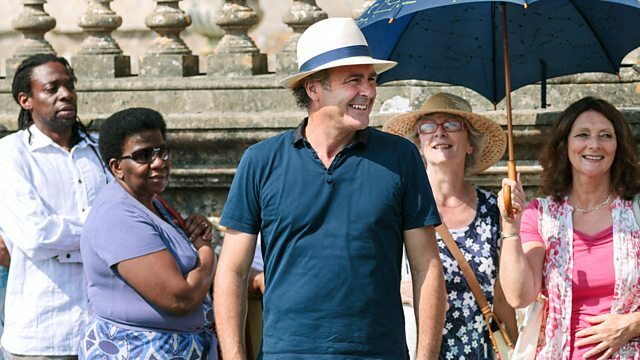 Paul Martin introduces a collection of the best finds from the show's travels to Edinburgh, Wallasey, Southwell, Birmingham and Dunster Castle. Paul Martin introduces a collection of the best finds from the show's travels to Edinburgh, Wallasey, Southwell, Birmingham and Dunster Castle. The antiques experts include James Lewis and Adam Partridge, with items including a 1920s gold vesta case and a painting by Albert Moulton Foweraker. But which will get the auction bidders most excited? Paul Martin also tries his hand at a life-drawing class in Glasgow. See all episodes from Flog It! Find out when and where our upcoming valuation days will take place.